There must be a definite relationship between cutting tool and surface of workpiece in order to perform the accurate cutting operation. To achieve high precision in machining, the workpiece must be located accurately; it is called locating of workpiece. Location of components is significant to the design of jig and fixture so that it influences the accuracy of the final product. The locating device designed so that each successive workpiece loaded must occupy the same position in work holding devices. Locating: the positional and dimensional relationship between workpiece and cutting tool. 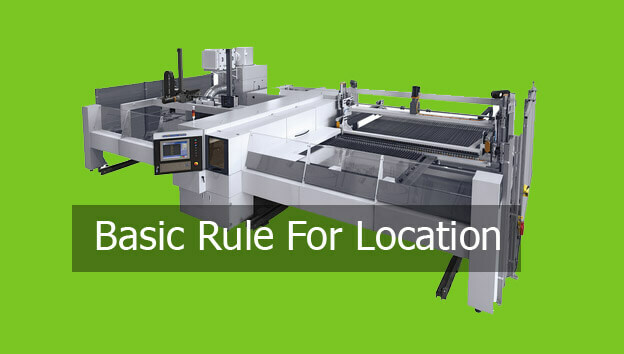 Locator: the device to establish and maintain the position of the workpiece in work holders such as jig and fixture to ensure repeatability of work holder. The locating device for a work holding device mainly depends on the property of workpiece and the overall machining process. The locating apparatus and method of clamping depend upon each other. In order to locate a block correctly all twelve degrees of freedom must be restricted by using suitable locating point. Use a fewer number of locator. Locators spaced as much as apart possible and make sure complete contact of locating device. Reduce the degree of freedom of locating device to zero. Locator must be foolproof. The component can only be loaded into the fixture in the correct position. Locator should provide swarf trap and clearance where it is essential to clear machining burr.